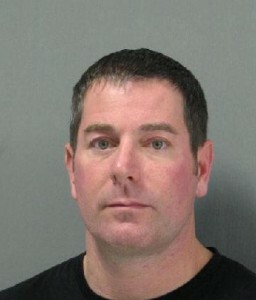 COVINGTON—Former veteran New Orleans police officer Gary J. Calico pled guilty Thursday (June 18) to aggravated flight from an officer and aggravated obstruction of a highway in an incident that involved a high-speed chase on the Causeway bridge in St. Tammany Parish in December 2013. Calico was sentenced by Judge Raymond Childress to a suspended sentence of 2 ½ years in prison and five years of active probation. Assistant District Attorney Darrell Sims prosecuted the case, which was investigated by the Causeway Police, St. Tammany Parish Sheriff’s Office, and Louisiana State Police. On Dec. 18, 2013, Causeway Police Officer David Copeland noticed a car swerving on the Causeway and attempted to make a stop. But the driver, who later was identified as Calico, fled, traveling at times up to 120 miles per hour. A high-speed chase ensued, also drawing in the Louisiana State Police. The chase ended at Calico’s home in the Estates of Northpark Subdivision, but when officers knocked on his door, he refused to come out. Officers were able to identify Calico as the owner of the vehicle, but he later tried to report it as stolen. He later surrendered to the St. Tammany Parish Sheriff’s Office. Calico, a veteran of the New Orleans Police Department, resigned from the department last week, the day before his plea.